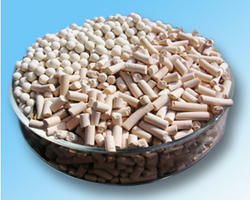 We are a leading manufacturer of 5A Molecular Sieve for various applications such as - The pore size for 5A molecular sieve is about 5A. It can adsorb all kinds of molecular smaller than this size, pressure swing adsorption for gases, co-adsorption of moisture and carbon dioxide. 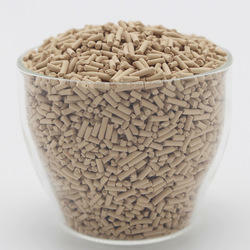 We are a leading manufacturer of 13X Molecular Sieve for various applications such as - The pore size for 13X molecular sieve is about 10A. It can adsorb any molecular smaller than its pore size. Mainly used as catalyze carrier, co-adsorption of CO, HO and HS as desiccant for medical and air compressor systems and can also be adjusted to fit other various applications. 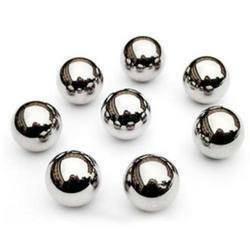 We are a leading manufacturer of activated alumina balls for various applications including air dryers, water treatment, oil filtration, gas plants etc. 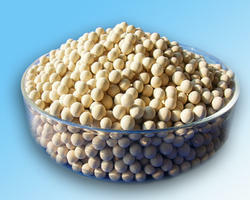 We are a leading manufacturer of 4A Molecular Sieve for the various applications such as - The pore size for 4A molecular Sieve is 4A⁰. It is mainly used to adsorb water, methanol, ethanol, sulfureted hydrogen, carbon dioxide, ethylene, propylene, does not adsorb any larger molecular than its pore size, and often used as desiccant in industrial applications. 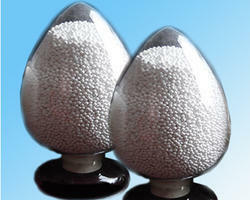 We supply all kinds of metallic grinding media including carbon steel balls, HCHC Balls, Stainless Steel Balls etc. 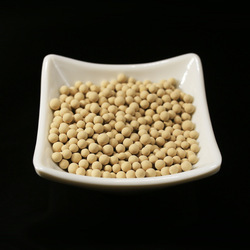 We are a leading manufacturer of 3A Molecular Sieve for various applications such as - The pore size of 3A molecular Sieve is 3A. It does not adsorb any molecular larger than its pore size. According to the industrial application specialties, we endue our products with the characters of higher adsorption speed, more cyclic times and longer work- span is assured for our product. All these advantages have made it come to be the most essential and necessary desiccant in the fields of the deep drying, refinery, ethylene and propylene. Synco Industries Ltd. are exclusive distributors for Hangzhou Black Horse New Materials Co., Ltd., which is one of the leading manufacturers of specialty carbon black in China. Factory is located in Shanxi province, with a total annual capacity of 18,000MT, including furnace carbon black 14,000 MT/Year, gas process carbon black 3,000MT/Year, and surface special treated carbon black 1,000MT/Year. We are in the strongest position ever to provide our customers with the most stable quality, quantity and the most competitive price. With 10 years of marketing experience and professional technical team, we are capable of offering the best suggestions and solutions in carbon black selection and formula adjustment for the right application. We also help customers in solving the dispersing problem of carbon black by supply the most suitable dispersing agent for paint, coating, ink, pigment dispersion and other fields. Black Horse New Material employs a completely integrated quality control system from raw material to finished products. We are committed to enlarge our own global market share by providing customers the best quality products and the most professional technical services.